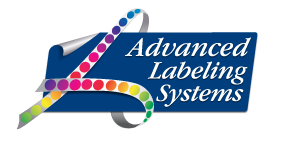 Advanced Labeling Systems carries the leading barcoding software packages on the market. These Windows-based label design programs provide user-friendly functionality, support over 30 barcode symbologies, feature enhanced database connectivity and are compatible with most popular printer makes and models out there. LABELVIEW 8.0 supports ten 2D and composite bar code symbologies to meet virtually any industry compliance specification. A Uniform Code Council and European Article Numbering (UCC/EAN) 128 Assistant has been added to help you create properly formatted bar codes and print them over your network or the Internet. With BarTender, a few quick mouse motions are all it takes to combine bar codes, text, and graphics into professional quality labels. You can even encode RFID tags. Demonstration versions of both software applications are available upon request. Please Contact Us for software pricing and ordering information.